This Ginger Oil Skin is a highly nourishing toner that contains natural xanthan gum, an ingredient that helps form a moist water protective layer on the skin. It can be easily absorbed into skin and leaves a smooth and moist feeling. This Ginger Oil Cream contains olive wax and ginger oil that melts softly on skin to provide double moisture protection. The ginger oil is well-blended in cream texture to deliver a deep nourishment on skin. This warming wash-off mask contains oil sourced from fermented sugarcane. It works to increase massaging effect and hydrates the skin by drawing moisture from the outside. 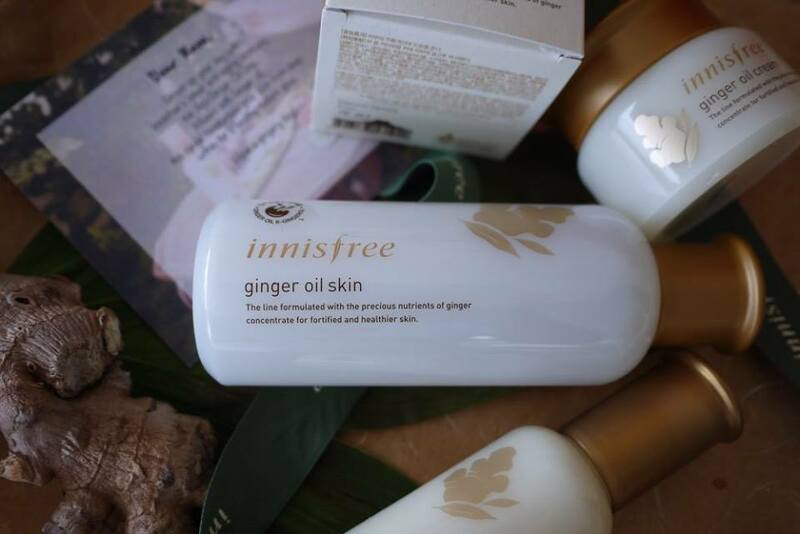 With a texture of ground ginger, it immediately improves blood circulation when massage for 1-2 mins, recovers smooth skin texture, removes impurities and dead skin cells, with added nourishment. Daily: Apply Ginger Oil Skin on a cleansed face, follow by Oil Serum or Oil Rich Serum, and Oil Cream. Weekly: Apply Oil Warming Mask in cleansed and exfoliated face. For updates and more information on innisfree, keep a lookout for their Facebook [innisfreeMYS] and Instagram [innisfreeofficial]. Ooh, this entire line seems promising to me! I wish I could get them all to try out at the same time, haha. I should check if we have this in the innisfree stores here! Wow... A whole range with ginger. Something of wroth trying. 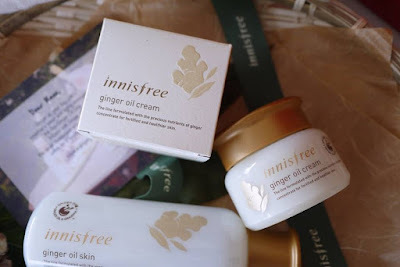 Another promising range from Innisfree. I'm currently thinking whether to switch my skincare brand to Innisfree, any advice? i love innisfree. i haven't tried this range before but will definitely do at some point! ginger sounds really tempting to me. 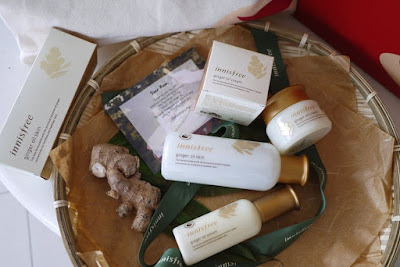 I only tried Innisfree spring water range. Gotta check this range soon! 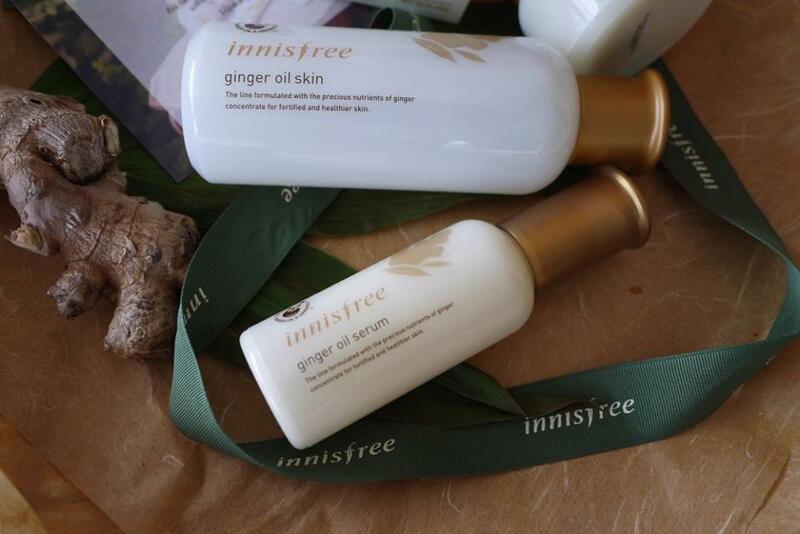 innisfree is the good product from korea! 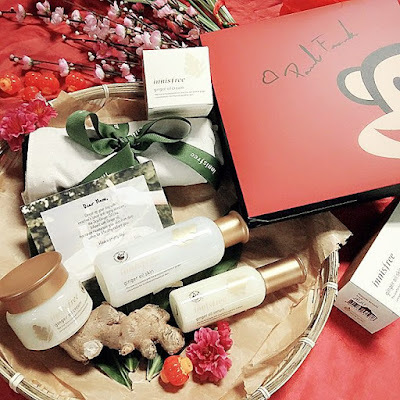 Well i tried to use anti aging skincare but still.. seems too early bcs it gave me 'holes' on my skin *cries* when i was 17..
Anw never heard about ginger in a cosmetic xD nice post!